For many purposes: The Tall Box by Hey Sign can more than its straight-lined appearance might make you think. The Tall Box is made of 100% natural felt, as well as all the Hey Sign products. The Tall Box is suitable to store toys, household helpers and other small utensils. The wool made organisation helper is also useful as dustbin. The Tall Box by Hey Sign is also transportable if it must be moved, because of the handles. Since the box is made of robust felt, it can even serve as firewood basket. Both, the felt material and all the Hey Sign products are “Made in Germany”, the final processing of the products is even “Handmade”. The used felt is made of 100% pure new wool without additional chemicals or recycled textiles, which is documented by the wool seal of approval. By the way, Hey Sign is the first and only felt factory, whose products were certified according to “The Woolmark Company”. 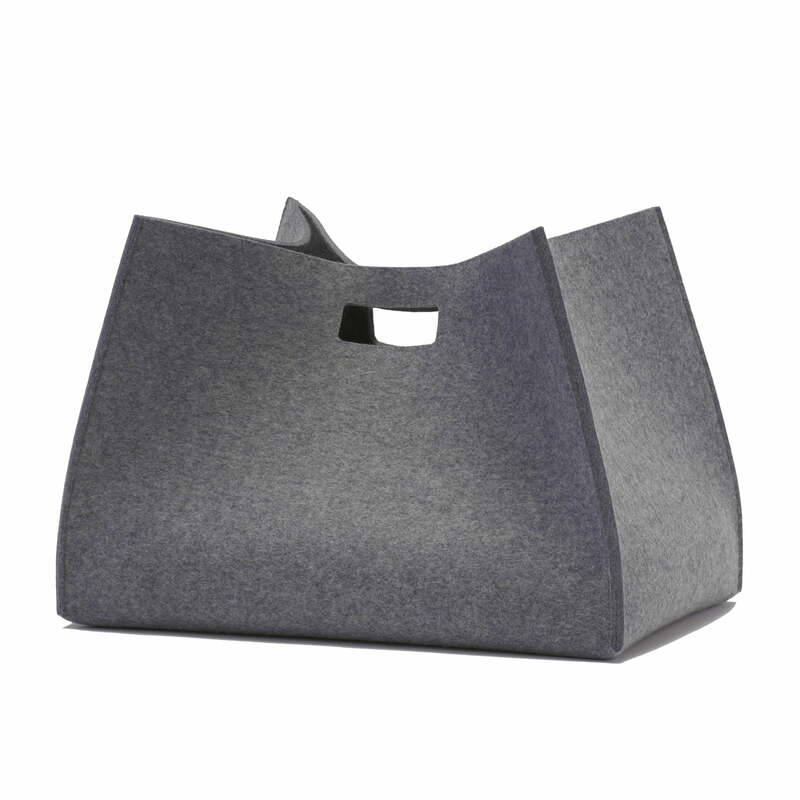 Hey Sign offers the edged storage box out of felt in a square and edged form as well as in many different colours.